Now that you have created the screensteps_workgroup database you need to create a user account that can be used to log into the database from the ScreenSteps Desktop client. Expand the Security > Logins folder to show a list of users. 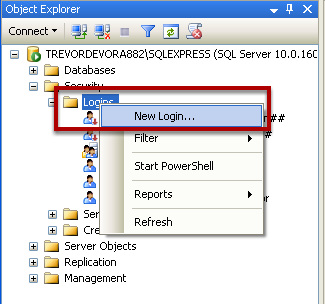 Right-click on the Logins folder and select New Login... from the contextual menu. 1) Set the login name. 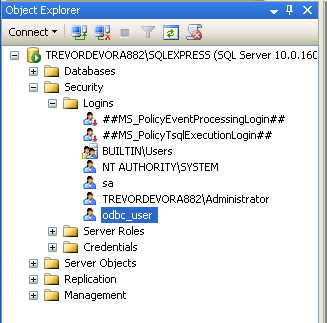 This example uses odbc_user but you could also choose something like screensteps_user. 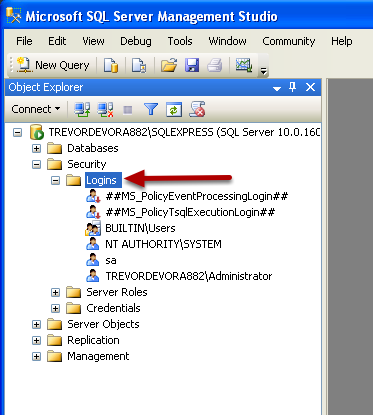 2) Set a password using SQL Server authentication. 4) Set the default database to screensteps_workgroup. Now switch to Server Roles (1). Make sure public and sysadmin are checked (2). The new user account will appear in the Security > Logins folder.